Meeting for the rescheduled engagement session, we were all getting discouraged because a sudden storm was blowing through Hingham....not again we all said! As the quote goes we were all willing to dance in the rain if that is what it took, but our patience waiting out the passing storm proved that amazing things can come after a storm! 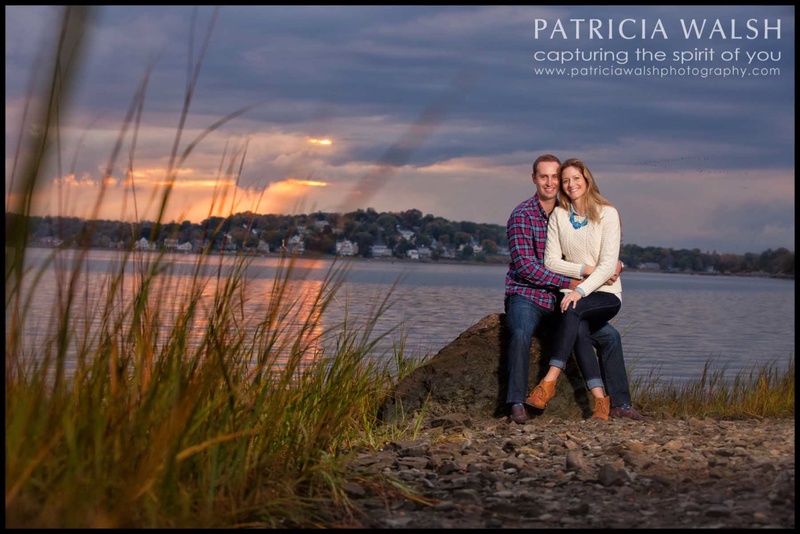 Thrilled to be shooting Rebecca & David's wedding next year at the Four Seasons in Boston! You are a very special couple and to see how calm you both were dealing with the weather I know you will have much luck, love and laughter in your future together! Many happy wishes to you both! !